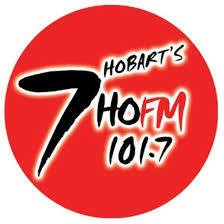 The Southern Tasmanian Dance Eisteddfod would like to acknowledge and thank 7HOFM for their continued support of our local Eisteddfod. Welcome To The Southern Tasmanian Dancing Eisteddfod Website. at the Derwent Entertainment Centre, Brooker Highway, Glenorchy. We look forward to a wonderful competition and hope that all competitors have a fun and rewarding experience. The HOBART OBGYN SCHOLARSHIP/S support students to explore vocational/tertiary training opportunities; particularly in the area of professional classical and or contemporary dance companies. The HOBART OBGYN scholarship is valued at $2000.